The Door Guardian effectively childproofs your exterior doors, providing peace of mind for you and your family. 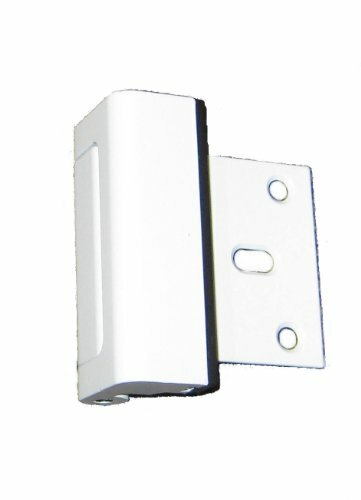 This lock resists forced entry and effectively secures, reinforces, and childproofs exterior doors. Use the Door Guardian on any exterior or basement door. The Door Guardian helps prevent wandering in groups like sleepwalking children and seniors who require supervision. The door Guardian works double duty as both a security device and as a childproofing lock. Durable and attractive, the heavy duty door guardian features rugged metal construction which will complement any decor. Available in 5 finishes, this model is white.